Home God Brahma Why Are There No Temples Of Brahma? 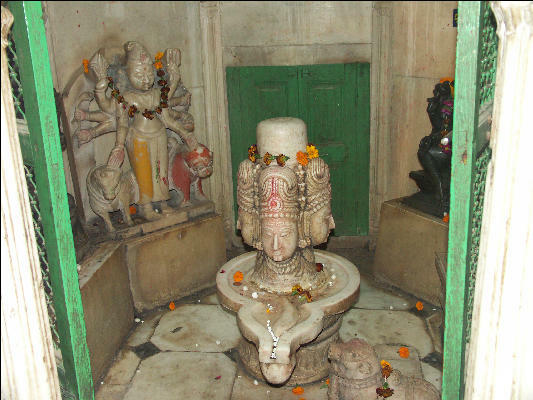 In the Shiva Purana, at the beginning of time in the Cosmos, Vishnu and Brahmā approached a huge Shiva Lingam and set out to find where Shiva began and where he ended. 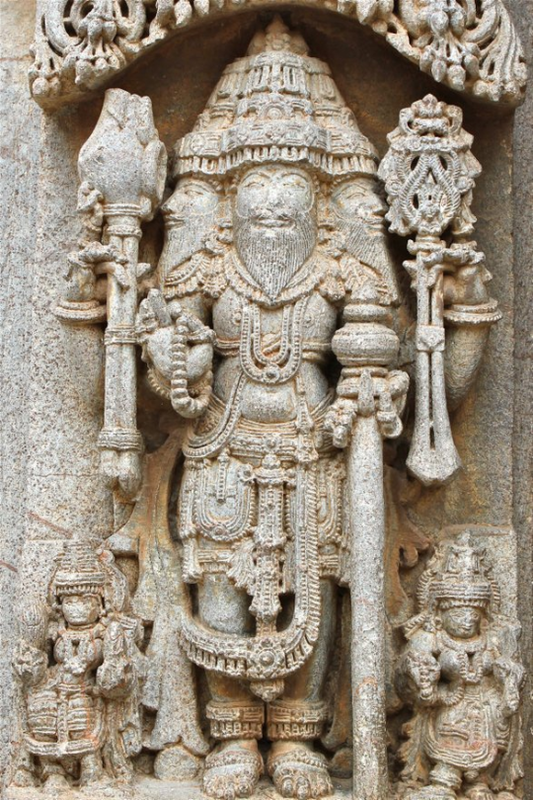 Vishnu was appointed to seek the end and Brahma the beginning. Taking the form of Vishnu’s 3rd avatar; the boar Varaha, Vishnu began digging downwards into the earth, while Brahma took the form of a swan and began flying upwards. However, neither could find the end or begining to Shiva. He was infinite. The Hindu God Vishnu, satisfied, came up to Shiva and bowed down to him as a swarupa of Brahman. Brahmā did not give up so easily. As He was going up, he saw a ketaki (Sanskrit – Kaetakee) flower, dear to Shiva. His ego forced him to ask the flower to bear false witness about Brahmā’s discovery of Shiva’s beginning. When Brahmā told his tale, Shiva, the all-knowing, was angered by the Brahma’s ego. Shiva cursed Brahma that no being in the three worlds will worship him. 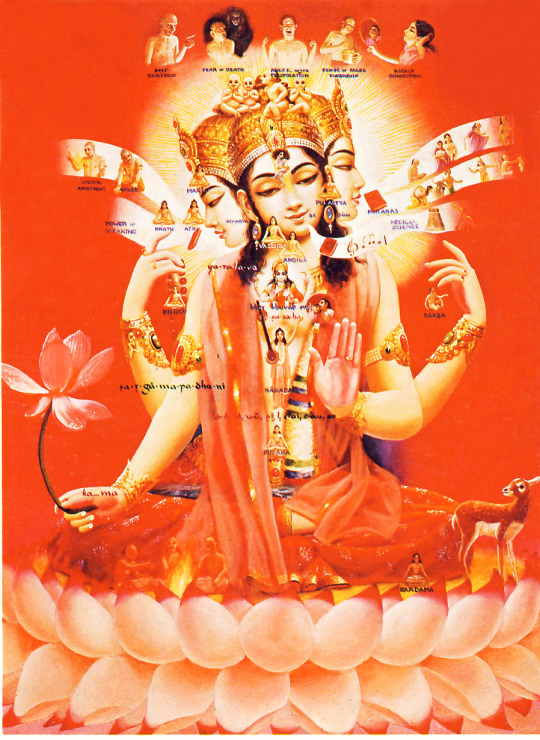 Another story in connection with Brahma’s lack of worship is when Brahma was creating the universe, he made a female deity known as Shatarupa (one with a hundred beautiful forms). 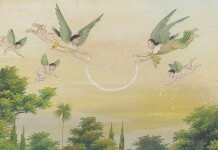 Brahma became immediately infatuated with his creation. Shatarupa moved in various directions to avoid the gaze of Brahma. But wherever she went, Brahma developed a head. 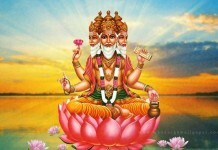 Thus, Brahma developed five heads, one on each side and one above the others. In order to control Brahma, Shiva cut off the top head. Also, Shiva felt that Shatarupa was Brahma’s daughter, being created by him. Therefore, Shiva determined, it was wrong for Brahma to become obsessed with her. He directed that there be no proper worship in India for the “unholy” Brahma. Thus, only Vishnu and Shiva continue to be worshiped with temples all over the world while Brahma only has two temples dedicated to him. 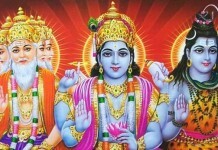 Ever since the incident, Brahma has been reciting the four Vedas in his attempt at repentance.